Hopefully, you noticed that last week was ‘Purdue Extension Week’ in Purdue Today. Extension was featured daily with stories helping the campus community better understand what Extension is; illustrating how we support entrepreneurs; talking about 4-H and healthy living; and other stories describing some of the exciting programs happening in Purdue Extension. If you missed it, see the story below and click on the link to read each day’s features. We haven’t done enough of this, and my thanks to all involved in helping the entire campus become more familiar with the many ways Purdue Extension makes a difference for our state. It is an exciting time for Purdue Extension. We recently wrapped up the Hort Congress and the Green Expo, educational events serving more than 2,500 individuals involved in the specialty crops, agritourism, landscape, and turf industries. Later this Spring, we will host our annual Production Agriculture Roundtable, featuring Extension and research programs that serve this sector of Indiana agriculture. Our first Small Farms Conference will be held at the Hendricks County Fairgrounds in Danville, Indiana on March 1-2 (see the story below). The event promises to provide a great educational experience for this growing sector. 4-H has new and expanded initiatives and programs focused on STEM (science, technology, engineering, and math), and has launched new clubs and programs in urban areas such as East Chicago, Indianapolis, and Fort Wayne, where 4-H has not traditionally been strong. 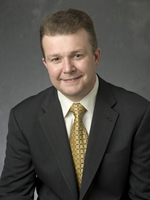 And, the Purdue Center for Regional Development will soon welcome its new director, Dr. Bo Beaulieu. Bo, who will also be a Professor in our Department of Agricultural Economics, is an experienced professional who has been leading the Southern Rural Development Center at Mississippi State University. We look forward to even more high impact activity in the Economic and Community Development area as we deepen our partnership with PCRD. The list could go on and on: 275 county-based Extension Educators and support staff partnered with a dynamic group of Extension Specialists on campus make a lot happen! As we look for a new Director of Purdue Extension, it is also time for us to look to the future. How do we create even stronger partnerships between Specialists and Educators, with colleges across campus, with universities in other states, and with other community organizations to make an even greater difference in our state and region? Where does technology fit in levering and complementing the local presence we have in all 92 counties and in helping us reach our audiences more effectively? How do we better engage groups in urban areas and underrepresented stakeholders who have not been a traditional focus of Extension programs? How will we resource Extension to insure that funds are available for the work that needs to be done? How do we better assess the impact of our activity and our focus to make sure limited public resources are being used at the highest purpose and that our stakeholders have a more complete understanding of what we do and how we help ‘transform lives and livelihoods’? We have four strong candidates interviewing for the position of Associate Dean and Director of Purdue Extension. I hope you will fully engage in the search process so we can bring the right leader on board to build on Extension’s exceptional heritage and address the opportunities and challenges in front of us. Thanks to everyone involved in Purdue Extension across the three Colleges—Agriculture, Health and Human Sciences, and Veterinary Medicine—for all you do to make a difference for the people of our state. The office of Agricultural Research at Purdue is launching Graduate Research Spotlight, a monthly feature highlighting graduate students and their work. This month’s spotlight is on Nate Lichti, Forestry and Natural Resources; graduate advisor Rob Swihart. 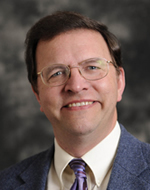 Agricultural economics professor Allan Gray has been named the newly created Land O'Lakes Chair in Food and Agribusiness at Purdue University. Gray's position at Purdue was previously known as the Agricultural Chair of Excellence in Engagement. Purdue's Board of Trustees ratified the name change Feb. 8. The Land O'Lakes Foundation's commitment to fund the chair was secured through Purdue's Faculty Excellence Challenge Match program, which is designed to endow new professorships through private gifts from $750,000 to $1 million that are matched dollar for dollar. The foundation will donate $750,000, with Purdue matching that amount. The Land O'Lakes Foundation said it is creating the endowed chair because it is committed to supporting leading agriculture education institutions that are preparing students and professionals for successful careers in a growing industry that must be poised to feed a growing global population. Nutrition scientist and professor Connie Weaver will receive Purdue University's 2012 Spirit of the Land-Grant Mission Award for improving nutrition recommendations for children, adolescents and adults nationwide through her research in calcium absorption and bone health. The award is presented yearly to a Purdue faculty member in the Colleges of Agriculture, Health and Human Sciences or Veterinary Medicine whose work exemplifies the university's land-grant mission of discovery, engagement and learning. Much of Weaver's work with children and adolescents takes place at Camp Calcium, a six-week camp designed to measure calcium absorption and use in children and younger teenagers. The camp, held annually for the last 22 years, gives adolescents a chance to explore careers and take science and math classes in a college environment while researchers control their diets and measure the amount of calcium their bodies absorb. Agriculture faculty, staff and students are invited to meet and celebrate the 2013 Distinguished Agriculture Alumni on Friday, March 1. The college reception begins at 2:30 p.m., followed by the Distinguished Agriculture Alumni convocation at 3:30, both in the North Ballroom of the Purdue Memorial Union. The annual Purdue Agriculture Alumni Association Fish Fry and Ag Forecast, held Feb. 2 in Indianapolis, was an opportunity for alumni and those in agriculture to renew friendships and interact with experts on the issues of the day. The topic of this year’s Ag Forecast panel discussion was animal well-being. Karen Plaut, associate dean and director of agricultural research, moderated the discussion and questions from the audience. Panelists were Candace Croney, associate professor of animal sciences; Nicole Olynk Widmar, assistant professor of agricultural economics; and Jeremy Marchant-Forde, research animal scientist in the Purdue-based Livestock Behavior Research Unit of the U.S. Department of Agriculture’s Agricultural Research Service. About 1,500 people attended this year’s Fish Fry. Tom Campbell, managing editor for ConnectionsNOW, documented the day in photos. The Purdue University Agriculture Alumni Association honored 10 individuals with its highest award for their professional accomplishments, leadership in organizations associated with agriculture and community service. The 2013 Certificate of Distinction awards were presented Feb. 2 during the association's annual Ag Alumni Fish Fry. "The Certificate of Distinction honors those who go above and beyond the call of duty in their work and volunteer leadership," said Donya Lester, the association's executive director. "This year we are pleased to honor 10 exceptionally talented people who have contributed to the agricultural profession and their communities in a broad range of endeavors and volunteer service. They have made their mark on the agriculture industry - both nationally and internationally - and they have contributed unselfishly to a broad range of professional and community organizations." Students, faculty and others interested in the future of animal agriculture are invited to attend the Book Harmon Leadership Forum Feb. 19. The forum is free and open to the public. "We want to challenge attendees to consider their personal leadership journey and encourage them to more effectively engage in meaningful agricultural activities now," said Mark Russell, animal science professor and forum coordinator. Shelley Stanford, director of U.S. Pork Technical Service for Pfizer Animal Health, is the distinguished speaker for the forum. Bob Book and Bud Harmon founded the Book Harmon Leadership program in 2005 to promote leadership in animal agriculture at Purdue. In addition to offering a forum each semester, the program sponsors scholarships, leadership retreats and programs, animal sciences courses and industry tours. Plans are in progress to implement a new travel system across the university. The new process includes on-line bookings, electronic routing, travel credit cards, better reporting, and other built-in efficiencies. Everyone who travels on university business will be affected, and training sessions and resources have been developed to train and inform all levels of staff. Communication and training will begin in our College in early March with the goal of having everyone trained and working in the system by mid -May. Throughout February, business office staff will be working on the structure of the electronic workflow and collecting information on potential travelers and delegates in each department. Janet Allen, recently retired Extension Southwest District Director, passed away on February 15. Janet's career with Purdue Extension spanned 33 years, having served as an Extension Educator in Sullivan, Allen, and Shelby counties before concluding her career as Purdue Extension's Southwest District Director in early 2012. Visitation will be from 4 to 8 p.m. Tuesday, February 19 at Freeman Family Funeral Homes and Crematory, Carmony-Ewing Chapel, 819 S. Harrison St. in Shelbyville with the rosary recited at 3 p.m. A Mass of Christian Burial will be held at 10 a.m. Wednesday, February 20, at St. Joseph Catholic Church, 125 E. Broadway St. in Shelbyville, with Father Aaron Pfaff officiating. Memorial contributions may be made to St. Joseph Catholic Church, 125 E. Broadway St., Shelbyville, Indiana 46176 or to the Indiana 4-H Foundation, Agricultural Administration Building, 615 West State St., West Lafayette, Indiana 47907. "Janet was a good friend, outstanding mentor, and a valued colleague for all of us who had an opportunity to work with her," said Jim Mintert, Interim Director of Purdue Extension. "Janet will be missed by her family, friends, and all of Purdue Extension." Janice Kritchevsky, Veterinary Clinical Sciences, has received a Faculty Fellowship for Study in a Second Discipline from the Provost’s office and will spend time in the Animal Sciences department. The Faculty Fellowship for Study in a Second Discipline program offers faculty members on the West Lafayette campus an opportunity to extend their scholarship through a new area of student that complements their major area of teaching and research. The program was established for tenured faculty on the West Lafayette campus to have release time from teaching for one to two semesters to expand their range of knowledge by the study of disciplines other than those in their primary field(s) of specialization. Levon Esters, YDAE, is part of a recently named nationwide Agriculture Forestry and Natural Resources (AFNR) working group. The group will update the United States Department of Education's School Course Code Classification System: School Codes for the Exchange of Data (SCED). The goals of the project are to better facilitate comparison of AFNR course offerings; facilitate the use of electronic transcripts; and encourage the use of "course-taking information" in research and evaluation of student outcomes. This work is in response to a call from the Association for Career and Technical Education, as part of an effort to level the education playing field of career and technical education. Bruce Hamaker, Food Science, was selected to receive the AACCI (American Association of Cereal Chemists International) Alsberg-French-Schoch Award. The Alsberg-French-Schoch Memorial Lectureship was established in 1965 to honor chemists who have made distinguished contributions to fundamental starch science. Established by the Corn Refiners with a grant to AACCI for its administration, the award is given every two to four years and includes a $2,000 honorarium and a plaque, as well as the opportunity to present a lecture on some phase of starch science before an annual meeting of the association. Eileen Kladivko, Agronomy, was honored at the National No-Till Conference in January with the No-Till Innovator Award in the Organization category for the Midwest Cover Crops Council (MCCC). Dr. Kladivko, who is a founding member of the MCCC and a member of the Executive Committee, accepted the award along with Dale Mutch of Michigan State University. John Baugh, Director of Ag Services and Regulations in the College of Agriculture, was one of four people honored with Beck's Hybrids Beyond the Fence awards for their outstanding support and promotion of Indiana agriculture. The awards were presented at the Indiana Livestock, Forage and Grain Forum on February 11. John.received the Friend of Indiana Agriculture award for outstanding contributions to agriculture by a non-farmer. Kimber Nicoletti, Director of the Multicultural Efforts to end Sexual Assault (MESA) program in Youth Development and Agricultural Education, will be one of seven women to be honored at the YWCA Salute to Women banquet on March 5. Award recipients were selected based on outstanding and inspirational achievement in volunteer and/or professional roles, community involvement and leadership/role modeling qualities. Three Purdue Agriculture scientists will use a $1 million grant to develop genomic tools needed to improve sorghum, an important African food crop. The researchers will use the support of the Bill & Melinda Gates Foundation to identify sorghum gene functions, especially those that play a role in crop yield, protein and starch digestion, and resistance toStriga, a parasitic weed that attacks sorghum's root system. "Sorghum doesn't receive a lot of research investment, but it is a vitally important crop throughout Africa." said Mitch Tuinstra, the project's principal investigator and Wickersham Chair of Agronomy. Tuinstra will work with Cliff Weil, Agronomy, and Brian Dilkes, Horticulture, to analyze a collection of mutants they have created in the sorghum variety that has had its genome sequenced. They can then determine which genes are responsible for the physical attributes displayed by the mutant plants. Once genes and traits are matched, they can be used to design plants with desired characteristics. The importance of locally produced foods to communities across Indiana will be highlighted by keynote speakers at Purdue Extension's Indiana Small Farm Conference. The March 1-2 conference at the Hendricks County Fairgrounds in Danville will be an opportunity for farmers to meet Extension educators, researchers and other producers and form a statewide network of small farms, said Steve Engleking, LaGrange County Extension educator and a conference coordinator. The keynote presentation during the March 1 lunch will be given by David Swenson, community economics research and education specialist with the Leopold Center for Sustainable Agriculture at Iowa State University. His topic will be "Exploring the Prospects for and the Practical Limits of Local Food Production Initiatives." Michael Hamm, C.S. Mott Professor of Sustainable Agriculture at Michigan State University, will speak at the dinner that day on "The Potential Impact of Regional Food Systems on Economies, Public Health and Community Development." The March 2 lunch speaker is disability consultant and farmer Ed Bell of Hagerstown, Ind., who specializes in strawberries. His presentation is titled "Farming My Way." U.S. cattle numbers have dropped to their lowest level since 1952 on the heels of record-setting drought that decimated feed supplies and forced producers to cull animals, says Purdue Extension agricultural economist Chris Hurt. The numbers, found in the latest U.S. Department of Agriculture inventory report, also show that the U.S. beef cattle herd, specifically, has hit the lowest point since 1962. Beef cow numbers dropped by 3 percent last year and are down 11 percent, or 3.6 million head, since 2007. "The 2012 drought was the primary driver of the decrease last year," Hurt said. "The impacts were largest for producers in the Southern Plains where beef cow numbers dropped by 9 percent last year, and in the Central Plains where numbers were down 6 percent." Some types of carbon nanotubes used for strengthening plastics and other materials may have an adverse effect on soil microbiology and soil microbial processes, a Purdue University study shows. Specifically, these raw, non-functionalized single-walled carbon nanotubes were shown to damage the active microbiology in low-organic soil. Ron Turco, Agronomy, said many of the bacteria affected could be involved in carbon and nitrogen cycling, which are critical processes to ensure a fully functional soil. "There appears to be more negative potential on the active microbial population than we thought," said Turco, whose findings were published in the journal Environmental Science & Technology. "The as-produced materials could be a negative environmental situation if they are released into low-organic soils that could not absorb them." Indiana's farmland owners will pay higher property taxes in 2014 on the heels of an increase in the base rate for assessed land value, Purdue Extension agricultural economist Larry DeBoer says. The base rate, which is the starting point for calculating taxes on farmland, jumped from $1,630 per acre in 2012 to $1,760 for 2013. Taxes assessed on this year's base rate will be paid in 2014. The base rate has exactly doubled in just seven years, from $880 per acre in 2007. The value of Indiana farmland is assessed based on use value rather than market value. So, even if a parcel of farmland borders commercial or residential development, it is assessed based on the income it can generate from farming, not the selling price. Wally Tyner, Agricultural Economics, says that there are likely few benefits for the United States in exporting abundant natural gas supplies. He compared his own analysis, which determined natural gas exports would have a negative economic and environmental impact, to another conducted for the U.S. Department of Energy that predicted a small net economic gain, mostly accruing to natural gas owners. An increase in natural gas supplies brought about by the shale gas boom led the DOE to consider the export option. Tyner said that even with a $10 billion gain under the DOE study, costs would increase in all energy-intensive sectors in the United States. The DOE study also did not look at the environmental impacts associated with exporting gas. Purdue University student inventors will own their innovations thanks to a new interpretation of the university's policy governing intellectual property. "We're out to foster a culture of entrepreneurship that extends from the newest freshman on campus to the most senior faculty member," said Purdue President Mitch Daniels. "If you have a great idea, Purdue is the place to develop what's in your mind and take it to the market." Interpreted strictly, the intellectual property policy states any invention created with the use of Purdue resources is subject to university ownership. The new interpretation offers students clear ownership rights as long as the resources used were part of a course and were available to all students in the course; that the student was not paid by the university or a third party; and the class or project was not supported by a corporation or government grant or contract. Please consider nominating a distance learning activity (course, seminar, or workshop) for the 2013 Purdue University Awards for Excellence in Distance Learning. Two cash awards of $1,000 are funded by the Office of the Provost, one each for a credit and a noncredit distance learning activity conducted through Purdue. Nominations or applications must be submitted by March 4, 2013. The Awards for Excellence in Distance Learning will be recognized at the Provost’s Faculty Awards Convocation on Thursday, April 25, 2013, at 4:30 p.m. in the Shively Club at Ross Ade Pavilion. For more information contact Lindsay Roberts at mailto:lindsayroberts@purdue.edu or (765) 494-2973. A nine-member search advisory committee led by Mark J.T. Smith, dean of the Graduate School, has been named to help find the inaugural dean for Purdue University's Honors College. The Honors College, approved by the Board of Trustees in 2011, is expected to admit first-year students for fall 2013. The college will recruit prospective honors students and provide them with advising, residential learning opportunities and cross-disciplinary opportunities. "The dean's primary role is to provide vision and leadership within the new college," said Victor Lechtenberg. "The dean will be dedicated to recruiting top-caliber students, promoting and assuring academic excellence and fundraising to support the facilities and programming needs of the college." Purdue University is listed among the Princeton Review's 150 "best value" colleges for 2013, released Feb. 5. The education services and test-prep company says universities on the list, which appeared in USA Today, "offer the best bang for the buck." The listing is based on an analysis from surveys conducted from fall 2011 through fall 2012. The top 10 public and private "best values" are ranked; the rest are listed alphabetically. It is the second time this academic year that Purdue has been recognized for its good value. In August, SmartMoney magazine ranked Purdue eighth nationally in its college payback survey, which quantified the long-term value of a college degree.